Well-wishers surround Ala Wai teacher Sara King as the state’s Milken winner. This year’s winner of the $25,000 Milken Educator Award actually helped plan her own Feb. 5 school assembly — without realizing it was all for her. 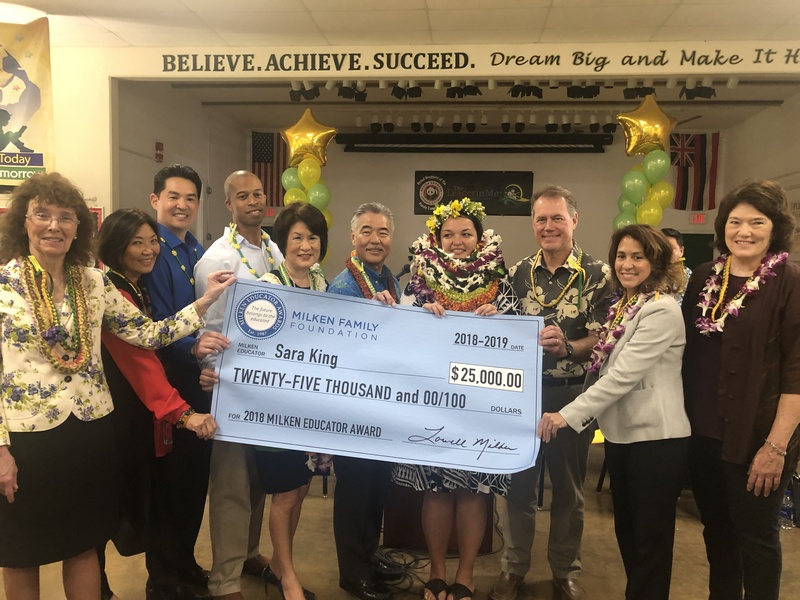 Governor Ige had the honor of making the surprise announcement of Sara King, Ala Wai Elementary’s Title I coordinator, as the recipient of the coveted award while students and colleagues applauded and cheered.